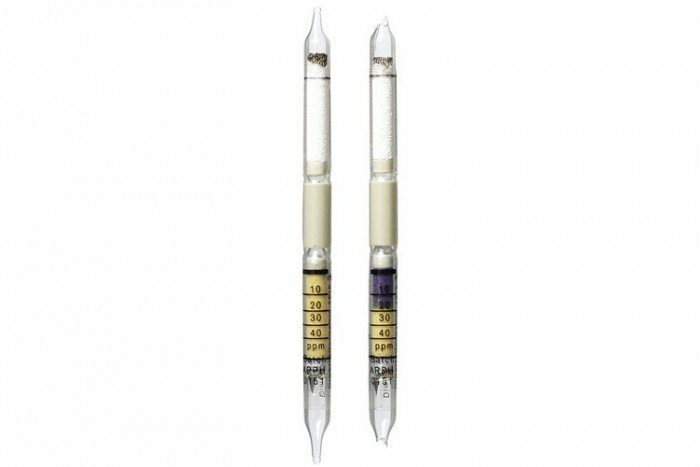 Drager Short Term Detection Tubes, Dimethyl Formamide 10/b (Measurement range: 10 to 40 ppm): Detects a range of substances incl. Dimethyl acetamide, Dimethyl Formamide, Chloroformates. Other basic substances, e.g. ammonia, organicsamines and hydrazine are also indicate, however, with differing sensitivity.